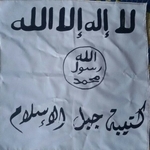 Katibat Jabal al-Islam (The Islam Mountain Battalion) is a primarily Syrian Turkmen jihadist group operating in Latakia province in northwest Syria. It has coordinated with a variety of factions including jihadists (e.g. Jabhat al-Nusra) and U.S.-backed groups (e.g. the FSA 10th Brigade). 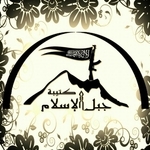 The group name refers to the Jabal al-Turkoman (Turkmen Mountain) area in Latakia. The clearest public sign of the group's jihadist leanings is its declared support for the Assembly of al-Sham Scholars announced in July 2016, a body that consists of a number of jihadist clerics and Shari'i figures in Syria like Abdullah al-Muheisseni and Abu Mariyah al-Qahtani.